Garrett Stevens’ five steps to perfecting playtime with your pooch! 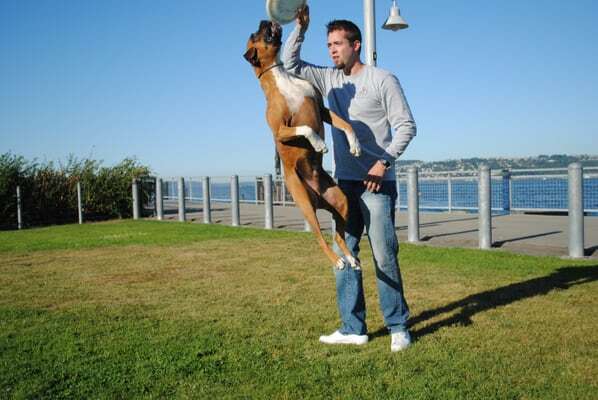 My dog, Rambo, getting some major “hang time” while going after the Frisbee. What an athlete! This post is continued from my prior post entitled Slugs Do Not Play. Worms Do Not Play. It is a good post (about how intelligent dogs are and how playful) please read that one before this one. If you play more with your dog or pup and play the right way (yes, there is actually a right and wrong way to play with a puppy or dog) you will be well on your way to an excellent relationship with an intelligent animal. Here are my five steps for perfecting playtime with your pooch! Number one. Never let the dog play keep away from you. By this I mean DON’T CHASE the puppy or dog. It is great if You can be the one keeping away and You run from them. This will encourage the chase instinct in them and then you can simply add, “Come” to the action as the puppy or dog is already succeeding in coming. But if your pup runs away and you give it attention and yell and chase who is leading the situation? Don’t let your dog know he’s faster than you. Number two. Try and work on pumping your puppy’s energy up and then calming it down. 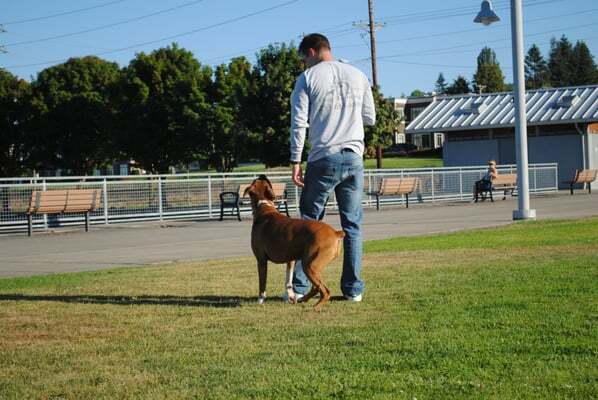 Energy control is a huge issue that is greatly lacking in the dog training world but is critically important to all canines. It is the only way the older dogs rear the younger ones. Wrestle to teach the puppy or dog how to develop bite inhibition (to play mouth at an acceptable social level) You have to determine where the level is or when they’ve crossed the line…not the dog. Calmness is key! Use clear body language for play time and clear language for ending it or sucking all the energy out of the room in order to slow and stop the playing. Number three. Develop the prey drive in the puppy or dog for ease of maneuvering them into the classic typical training positions ie: sit, down, come, heel. Remember the lower you keep the toy the more tempting and exciting it will be for the puppy. 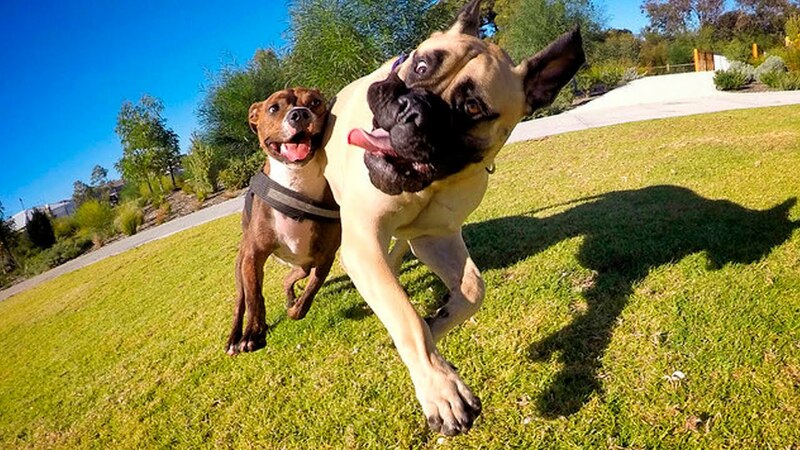 A word of caution here, many owners (especially those with breeds that will readily retrieve or herd) need to beware of making the dogs addicted to the ball or toy so much so that they cannot play well and interact normally with other dogs at the park. Instead this type of dog only “works” and is a slave to retrieving and can easily become possessive and aggressive towards any dog approaching or interfering with his ball/toy/work. This is another area (as they all are) where the owner should use energy control and calming methods to help. Number four. You CAN play tug of war. The only time I don’t recommend playing tug of war is if you already have a dog that is possessive over items. Aside from that have at it and have a grand ol’ time. Play with your dogs to increase the bond in your relationship. Use the five steps (especially on young pups or dogs that are weak in the obedience department) and you will see an amazing difference. Be aware of how smart that furry creature is and take steps to work with them. If dogs can learn almost a thousand words don’t just teach them three or four and stop. That would be the human equivalent to you graduating from kindergarten and then your parents yank you from school and don’t ever help in any way to further educate you! Play and teach your dog more. 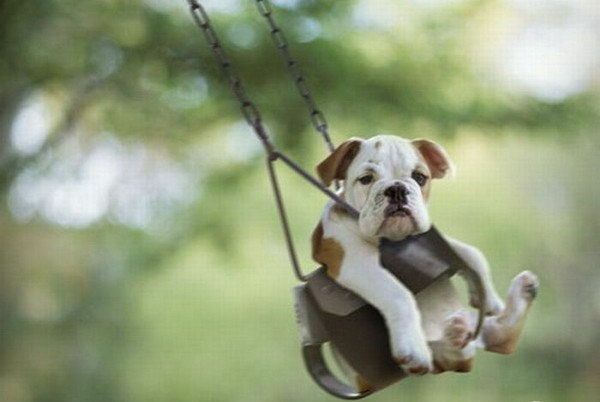 Have fun in all your playful adventures! 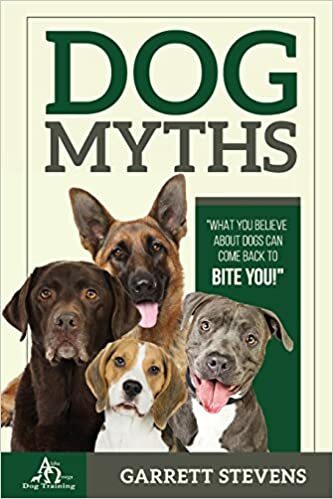 And buy my Hot-Listed book on dog and human behavior, Dog Myths: What you Believe about dogs can come back to Bite You! It will greatly aid in your relationship and help prevent or reverse behavioral issues too!